This is a die-cut Lash’s Root Beer porcelain sign. This particular Lash’s Root Beer sign is brown and white with red and black text. 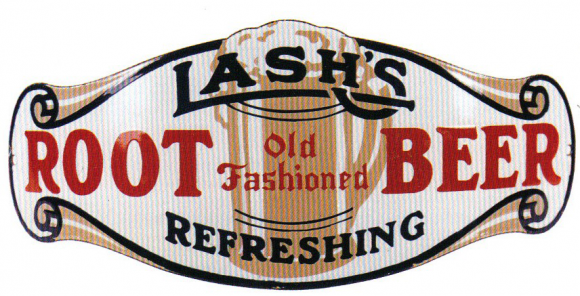 It reads, “Lash’s Old Fashioned Root Beer, Refreshing” and features a glass of foaming root beer in the center and decorative scroll ends.